Program will begin at 8:15 a.m. - 9:30 a.m. Multiple representatives from all industries are welcome! Join us for a program that is specifically for networking. 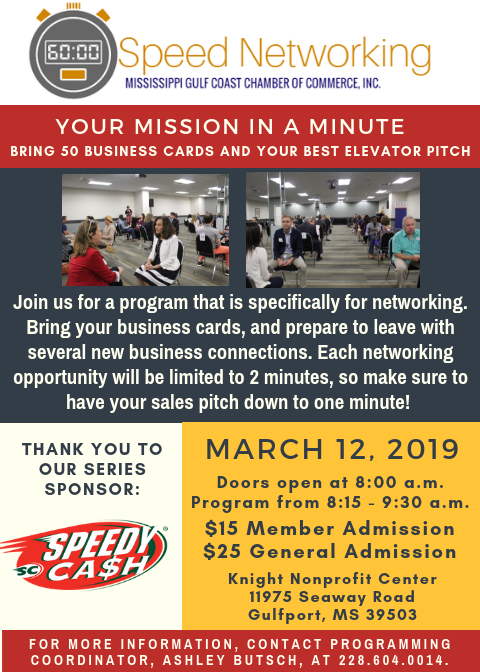 Bring your business cards, and prepare to leave with several new business connections. Each networking opportunity will be limited to 2 minutes, so make sure to have your sales pitch down to one minute!